TEMPE, Ariz. – Flow Technology, Inc. (FTI), a leading manufacturer of precision flow measurement instruments, systems and calibrators, today announced the FT/DF (Diesel Fuel) turbine flowmeter system, which provides accurate measurements of diesel fuel consumption in a wide range of industrial applications. End users employ fuel flowmeters to monitor diesel fuel consumption in the automotive, marine, aerospace and power generation industries, among others. For example, mining companies utilizing diesel generators to power their operations require accurate monitoring of diesel fuel usage to ensure the efficiency and reliability of the generators. Flow meters used in this application must be able to withstand extreme temperature swings in the installation environment. Pairing Flow Technology’s FT Series turbine meter with the LinearLink Temperature Compensated Interface (TCI), the FT/DF system can accurate measure diesel fuel at temperatures as low as -50 degrees F. The turbine flowmeter incorporates a “fail open” technology, meaning that in the event of a malfunction, fuel continues to be fed to the generator—ensuring there is no interruption of power to the industrial operation. 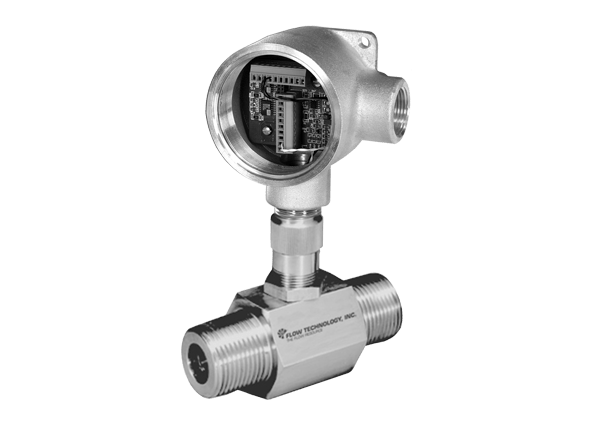 The FT Series turbine flowmeter relies on a proven flow measurement technique to provide exceptionally accurate and reliable digital outputs. Because of its versatility, the FT meter is ideal for a wide variety of liquid and gas flow sensing applications. The LinearLink TCI represents a sophisticated electronics platform for flowmeter linearization and viscosity correction. It provides significant improvements in flowmeter accuracy even under extreme temperature conditions. For more information, please visit https://ftimeters.com, email Flow Technology at ftimarket@ftimeters.com or call 1-866-910-FLOW.